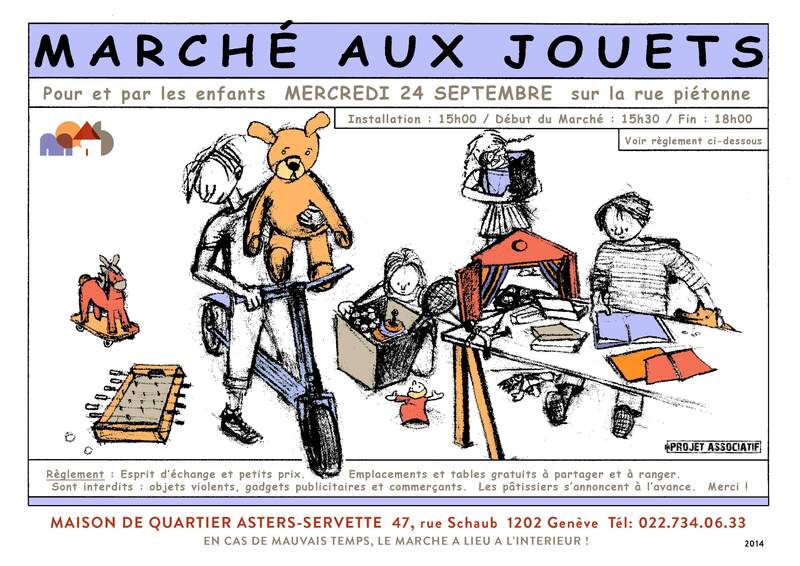 The toy market takes place 24 September outside the Community Centre of La Servette-Asters. Set-up begins at 15:00, the market begins at 15:30 and ends at 18:00. Toys must be sold at a fair price. Violent games and professional sellers not allowed.